Hyperbole is the scourge of high-end audio. So many professional reviews are full of grandiose statements about how life-affirmingly better a given piece of equipment is than a competitor or its own predecessor. “Towering achievement,” “revolutionary,” “astonishing” -- such phrases are thrown about frequently enough to dilute any significance and meaning they might still possess. This normalization of high praise means that a review that isn’t luminously positive is viewed as a middling evaluation, while actual criticism of any kind becomes a pan. Where have reviewers’ spine and integrity gone? There are, indeed, a lot of good products out there -- but only the very, very best warrant the kind of lavish praise we too often see. The Devialet 120 integrated amplifier-DAC is such a product. Devialet, founded and based in France, announced itself to the world in 2010 with the D-Premier. Retailing for $15,995 USD, this sleek, highly reflective, integrated amplifier-DAC won praise, and lots of it, from nearly everyone who heard it. The brainchild of Pierre-Emmanuel Calmel, a former engineer for Nortel, the D-Premier’s sheer ingenuity was breathtaking. 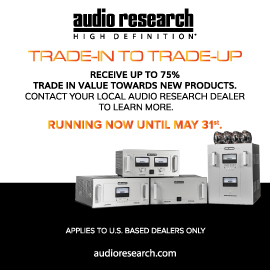 Many professional reviewers lauded its originality of engineering, pioneering design, and nearly benchmark-level sound. Despite being a brand-new company with but a single product whose price was firmly out of the reach of most audiophiles, Devialet flourished. Then, something curious happened. Most high-end audio companies that strike gold with a hit product follow it up with something far more expensive. But in May 2013, Devialet replaced the D-Premier with the 110, 170, and 240, whose model names reflect their power outputs into a 6-ohm load. Of particular interest to me were two facts: 1) the 110 retailed for $6495; and 2) taking into account the 110’s obvious power limitation, Devialet promised performance identical to the 240’s. I immediately requested a review sample, but it was not until after the 2014 Consumer Electronics Show that it finally arrived. Devialet was having trouble keeping up with demand. Interesting. My Devialet 120 was originally a 110 (I’ll explain anon). It measures 15”W x 1.5”H x 15”D and weighs 12.5 pounds. In the design of the D-Premier, Devialet’s mandate was that it be “as thin as a pack of cigarettes,” and the 120 retains this anorexic profile. The chassis, milled from a single block of aluminum, can be mounted on a wall with an optional accessory, which gives a full view of its mirrored Black Chrome finish. The rear portion of the 120’s top panel slides off and back on with satisfying solidity, to grant easy access to the rear panel. Beware of curious fingers -- the 120 is a bona-fide magnet for fingerprints, dust, natural oils, and sediment. The teardrop Devialet logo on the front is actually that panel’s only control. Above it, on the top panel, is a circular OLED display that shows the volume level (±dB in reference to a full signal) and which input is active. The build quality is excellent, and the materials reek of high quality. The square, chunky remote control is sizable, and finished in the same Black Chromed aluminum. Its prominent volume dial looks, at first blush, ridiculous. Above the dial is the Power button, below it the Source, Mute, and Tone buttons, the last letting you access the Treble, Bass, and Balance controls. After a few hours of use, I realized that this remote control was the best I’d ever used. It uses a radio transmitter, which means that it works perfectly even when there’s no direct line of sight between it and the 120 -- something not possible with an infrared transmitter. Beyond that, the dial is super-intuitive, perfectly weighted, and scales just so. Why mash a Volume Up or Down button when you can simply flick your wrist? Spot on, Devialet. The sign of something truly special, to me at least, is the lack of adherence to old paradigms, and while the 120 certainly looks distinctive, and its remote even more so, it’s what lies beneath its mirrored surface that distances it from any other audio product I’ve used. First, the heart of the Devialet: the patented Analog Digital Hybrid (ADH) amplifier: a class-A amplifier that drives output voltage, supplemented by class-D amplifier components run in parallel to provide current. This unique design lets the linearity of the class-A amp shine through while bypassing potential thermal issues, and thus rendering ventilation and heatsinks unnecessary. However, the review sample did get uncomfortably warm in normal use. In the 120, the ADH amp generates 90Wpc into 8 ohms, 120Wpc into 6 ohms (hence the model name), or 180Wpc into 4 ohms. The 120’s total harmonic distortion plus noise is 0.001% at full power, as is its intermodulation distortion. The signal/noise ratio is 130dB, unweighted, while the output impedance is a negligible <0.001 ohm. 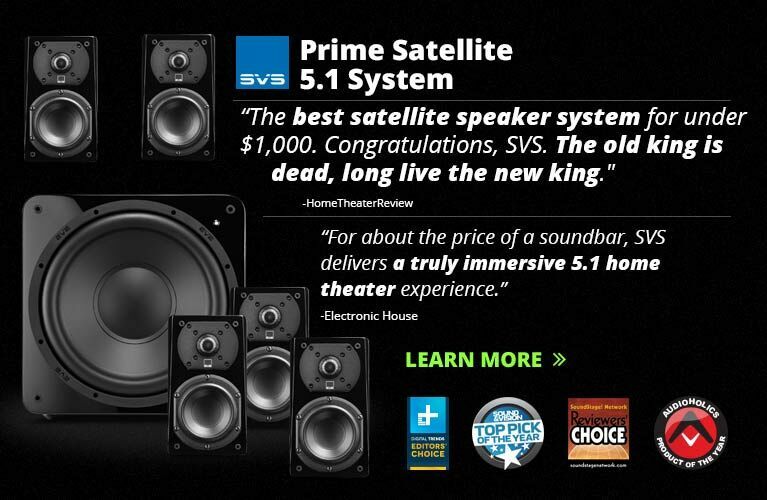 Each of these specifications is deeply impressive -- the distortion specs are almost an order of magnitude better than those of many price-no-object class-AB amps. Equally impressive is that, for the same power level, Devialet claims 25% less distortion in the 120’s output than in that of the original D-Premier -- which cost $15,995. Crikey. It should be noted, however, that Devialet specifies compatibility with speakers from 2 to 8 ohms. More cleverness is found in the implementation of the built-in Texas Instruments PCM1792 DAC chip. The output current of the chip is run directly into an ultra-high-linearity resistor, which accomplishes the current/high-voltage conversion before the signal is passed along to the amp’s class-A section. This makes possible a stable power rate and, in turn, a constant operating temperature, to reduce thermal distortion. Fun fact: The signal path in the 120, from the aforementioned resistor to the speaker binding posts, is less than 2” long. The 120 is a fully “digital” design in the preamplifier stage, which includes a volume control that operates in the digital domain. Accordingly, digital inputs are plentiful on the rear panel: one asynchronous XMOS USB, two optical (one TosLink, one 3.5mm mini-TosLink), and two coaxial S/PDIF. A pair of RCA jacks can be configured as analog line-level inputs, the analog signal being digitized before being fed through the 120’s built-in DAC -- or as an analog phono input for a moving-magnet or moving-coil cartridge. Finally, these same jacks can be configured as two more coaxial S/PDIF inputs, for a total of four. Rounding things out on the rear panel are a trigger in/out, an SD card slot, an Ethernet port, and an 802.11 b/g/n 2.4GHz wireless adapter. Signals up to 24-bit/192kHz are accepted through any of the inputs, with everything ultimately upsampled, if applicable, to 24/192. The 120’s Ethernet port and Wi-Fi can be used with Asynchronous Intelligent Route (AIR), Devialet’s universal wireless streamer. You can connect to the Devialet from any Mac or Windows computer via either method with the help of a dedicated application, while iOS or Android phones can connect using Devialet’s frequently updated phone apps. With Devialet AIR, my Apple MacBook Pro streamed not only music but my entire system’s audio -- from my couch, I could wirelessly play even YouTube videos. The “bit perfect” option in the Apple application allows the Devialet to bypass the computer’s desire to alter the sampling frequency. And the iOS app is a virtual facsimile of the 120’s physical remote control: You can adjust the volume via the virtual dial, turn the device off or on, mute it, change the input, or -- coolest of all -- stream music directly from your iDevice’s iTunes library, which is launched from within the Devialet app. 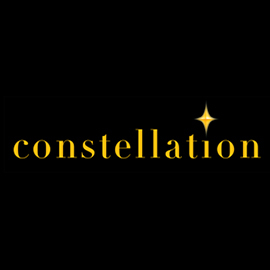 In terms of connectivity and ease of use it’s all hugely impressive, and, I think, unequaled by anyone else in the high end. And this was all before I got to the Devialet’s most important feature: the little SD card slot on the rear panel. Ejecting the included SD card and slipping it into a computer lets the user tailor the 120 to his or her individual needs via Devialet’s website. For instance, if you use only one of the 120’s inputs, you can turn off all the others. Selecting a Wi-Fi network is as easy as entering the network name and password. Do you have multiple sources connected, but always want the same one selected on startup? No problem. You can also set the volume so that the obscene levels of your previous session of Shostakovich (or, in my case, Rammstein) returns to a reasonable baseline when you next power up the 120. Even the bass and tone controls can be adjusted by up to ±18dB in 0.5dB intervals via the remote control, or set to any frequency you wish (though this can be done only via the online configurator). I live in a city apartment, where it’s sometimes difficult to energize my room at low volumes; it was nice to be able to kick up the bass a dB or two to really feel some of the trashier corners of my electronic-music collection. Purists will surely opt to set the tone controls to flat, but this is one nice feature to have. The SD card slot also allows for the updating of the 120’s firmware from the Devialet website. Originally, in late January 2014, I was sent a Devialet 110. But in mid-May, at the High End show in Munich, Devialet announced the 120, the 200, and the 250 (the latter two can also be configured as monoblocks), which offer more functionality than the 110, as well as a 10Wpc bump in power. It took less than ten minutes to find the firmware update on the Devialet site, download it to the amp’s SD card, and load it into the 120 itself, which happens automatically when the card is inserted. Voilà -- I was now reviewing a 120. Freaking awesome. It turns out that this firmware also added Devialet’s Speaker Active Matching (SAM). The 110 had arrived with a 400MHz digital signal processor that, prior to the firmware update, had sat unused. SAM uses it. Devialet begins by measuring the electrical, mechanical, and acoustical behavior of a given loudspeaker. They then create a mathematical model of this information and upload it to the 120, where it is run in real time by the 120’s digital signal processing (DSP), which operates ahead of the DAC and power-amplifier sections. With the processing of the signal’s voltage in the time domain, SAM promises to align the recorded signal with the behavior of this particular speaker model. In its current version, SAM works only below 150Hz. A white paper posted on the company’s website explains it in more detail, and it looks promising. The list of speakers supported at the time of writing numbered only 14, and did not include either the Vivid Audio Giya G4s that I had in for review, or my reference KEF R900s, but Devialet promises that it will grow quickly. The Devialet 120 is radically different from everything else on the market. Its heart, the patented amplifier section, is an entirely unique design. It’s housed in a well-built chassis that’s 1.5” thick, can be mounted on a wall, handsome, and contains not a single wire. It’s highly customizable, very intuitive in operation, and I found its remote control an utter joy in daily use. Its wireless connectivity can be used with any iOS or Android phone, and any Windows or Macintosh computer. Finally, its firmware is frequently updated for increased functionality and maximum performance. The Devialet 120 makes my reference Hegel Music Systems H300 integrated amplifier-DAC ($5500) look, and function, as if designed a century ago. It would be one thing if the Devialet promised the moon and then didn’t deliver. Yet it works beautifully, and will continue to evolve as quickly as Devialet’s 45 engineers (in a company that didn’t have a single product on the market until 2010!) can muster. And Devialet offers a five-year warranty. The company sold some 1500 D-Premiers ($15,595) between 2010 and May 2013, when they launched the 110, 170, and 240. 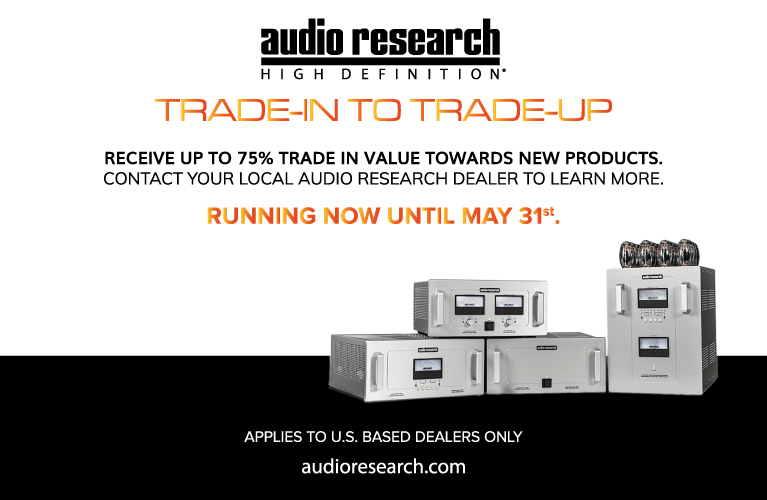 In the ensuing six months they sold another 1500 amplifiers. With the range again updated in May 2014, I wouldn’t be surprised if the company’s sales rise even faster. Apparently, I’m not the only one smitten with just how well this one-box solution works. The Devialet 120 sounded effing majestic. For those who skip a product’s specifications when reading reviews, the Devialet is the flag bearer for why specs matter. The claimed THD and IMD ratings listed above are nearly benchmarks, as is the signal/noise ratio. Such a lack of distortion is easily audible. Every other amp I’ve reviewed has produced an audible hiss when I put one of my 29-year-old ears within about 6” of a tweeter. With the Devialet, I had to place an ear literally on the Tangerine waveguide of the recessed tweeter of one of my KEF R900s, and even then I could hear only the faintest white noise. Back in 2011, when the practically ancient (he’s a quinquagenarian!) Doug Schneider reviewed the D-Premier for our sister site SoundStage! Hi-Fi, he said he couldn’t hear any noise from his Revel Salon 2s’ tweeters, period. Once the music began to play, this quality continued to manifest. 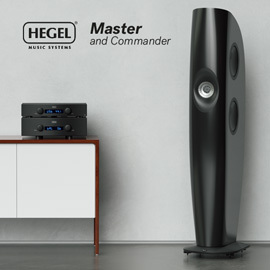 It’s hard to comprehend just how low a noise floor can go, especially compared to a top-flight integrated like my Hegel H300, which also measures exceedingly well. Backgrounds were absolutely pitch black, with zero noise, zero hash, nothing at all to detract from the music. And the music itself was so unsullied by grain -- by that ever-so-subtle smearing that I can hear even with the H300 -- that it popped from my KEFs with the utmost ease. Voices and instruments sounded smoother and cleaner than through anything else I’ve heard, and yet, contradictorily, were pregnant with detail. I’d thought it would be impossible for any amp to express every last detail of a recording without sounding analytical in some way, but the Devialet 120 has proven me wrong. I believe this is due to the patented hybrid topology at the heart of the 120 -- it captures that je ne sais quoi of a class-A design. 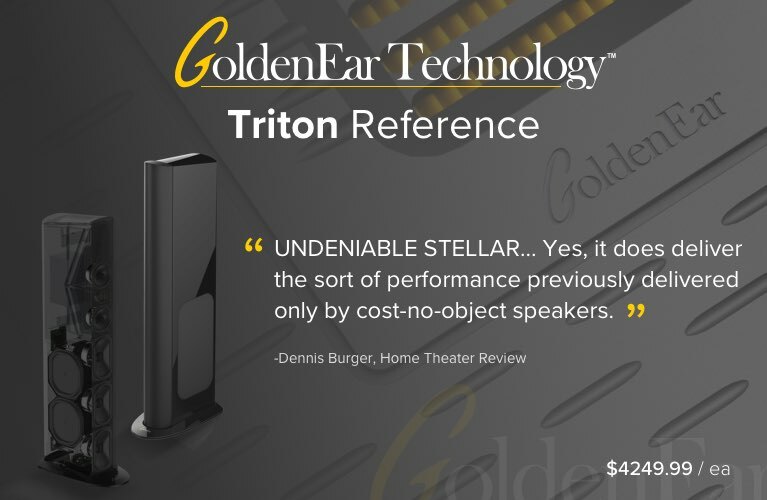 I’ve seen it described as a “golden” sound, but I think that descriptor almost does the Devialet a disservice. The perfect amp should sound simply real, with nothing added, nothing taken away -- not golden, not silver, not leaden, not metallic or wooden, or silky or liquid, or warm or cold -- not anything at all. Like no other amp I’ve reviewed, or even heard at an audio show, the Devialet did just that. It bettered my Hegel, which has an überclean, forward sound, with a sound that was neither forward nor relaxed. The 120 also bested the Musical Fidelity M6 500i ($6999) -- which, while not perfect, I was quite fond of for its rich, effortless midrange -- in offering noticeably greater powers of resolution, and was totally uncolored, totally neutral. The Devialet’s command of the midrange was, to my ears, faultless. Every recording I threw at it yielded greater insight than I’d thought possible. From MP3s to 24/192 recordings, all sounded their best. How many components can you say that about? The 120’s reproduction of the bass was similarly accomplished. I’ve always been under the impression that one needed huge reserves of power, and a concomitantly enormous power supply, to best handle a speaker’s woofers. I reviewed Vivid Audio’s Giya G4 earlier this year, and while that little floorstander had only two 5” woofers per cabinet, the quality and quantity of bass it produced was pretty staggering. The Devialet did a perfect behind-the-scenes job of letting the Vivids sing down low -- the bass was never overwrought or abbreviated, and always in complete control. It was much the same story with my KEF R900s, which approach full-range territory. I was waiting for the little 120’s control of the bass to falter, especially as the volume rose (within reason -- remember, I live in an apartment). As I write this sentence, I’m still waiting. And more or less bass was simply a tone control away, to say nothing of the potential benefits of Speaker Active Matching. Still, I suspect the roughly 90Wpc 120 will meet its limits with larger rooms and/or more challenging speakers. The only area of the Devialet’s sound that caught my critical attention was the treble. Pretty much all of the best class-AB and class-D amps I’ve heard have had a wide-open, expansive soundstage, with some degree of zest at the top end. 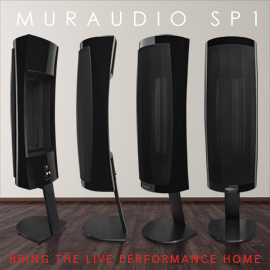 The words sparkle and air come to mind -- those qualities that, with the right speakers, can make a listening room sound much larger than it actually is. 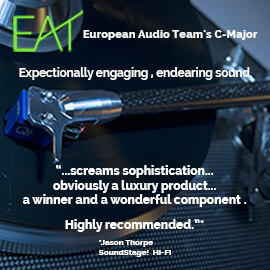 These qualities were subtle in the Devialet 120. It never went in the other direction, as tube amps sometimes do, giving the sound a somewhat darker quality; instead, air and sparkle were simply less pronounced. While it’s easy to finger the Devialet as the culprit, it may well be that the more emphatic treble heard elsewhere is somehow intrinsic to traditional amplifier circuits. This was the only hint of sonic character that I could ascribe to the 120 in several months of listening. I’ve touched on a couple of similarly priced integrated amps above; a few more that set the standard for what can be expected for $5000 to $8000 are Bryston’s B135 SST2 ($4695), Simaudio’s Neo 340 ($4600), and Wadia Digital’s Intuition 01 ($8000). Each expresses a subtly different personality, and each is excellent in its own way. But the Devialet 120, its modest power output aside, is simply better. It looks better, it works better, it has a better remote, it has a state-of-the-art design, and it is continually improvable via firmware long after you buy it. And it sounded noticeably better than anything else I’ve heard. Nothing is perfect. The Devialet 120’s power output imposed no limitations on my listening, but I know that 90Wpc will not be enough for some listeners. And to get the additional power offered by the Devialet 200 and 250, one needs to lay out a respective $9495 or $17,495. This makes the 120 almost cheap by comparison at $6495. The AIR functionality, which I used for about half of my listening, sometimes dropped out, and sometimes disconnected completely -- to take advantage of truly wireless operation, I had to manually reconnect. But the Devialet was sharing my network with my work and personal computers and several iDevices. A dedicated network, which I don’t have the luxury of, is a must. Finally, there was occasionally a slight lag between my turning of the remote’s volume dial and a response from the 120. But that was it. The Devialet 120 is a state-of-the-art piece of hardware, an inspired design marked by deep originality and a thorough understanding of how humans actually interact with modern technology. Devialet’s daring vision is as unorthodox as it is innovative. 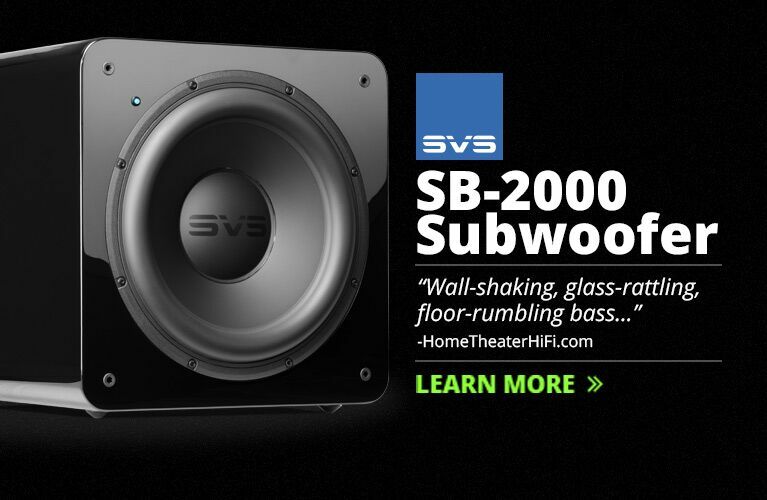 Most important, within its power limitations, its sound quality is peerless. That it can be had for $6495 is almost unbelievable -- and for that reason, it is the single most impressive audio product I’ve ever spent time with.